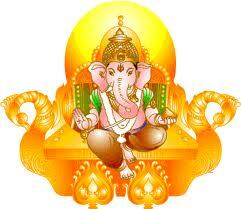 Ganesh Chaturthi is a festival that is celebrated to mark the birth day of Lord Ganesha or Vinayaka Cahvithi. This year Ganesh Chaturthi will be celebrated on Thursday, 13th September, 2018. 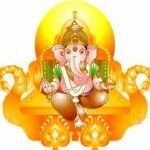 Ganesh Chaturthi as the name suggest is celebrated on the fourth(Chaturthi) day of the waxing phase of the moon in the month of Bhadrapada or on the Bhadrapada Sukla Paksha Cahvithi of Lunar calendar. It is on the day of Ganesh Chaturthi that Lord Ganesha was made the head of Vighnas(obstacles) and hence known as Vighna Nayaka or Vighneshwara. Ganesh Chaturthi Festival is one of the most famous Hindu festivals celebrated in India. This Hindu god has elephant head and his vehicle is Mooshika (rat). Ganesha considered as the supreme God of knowledge and is worshiped for wealth, prosperity and good fortune.